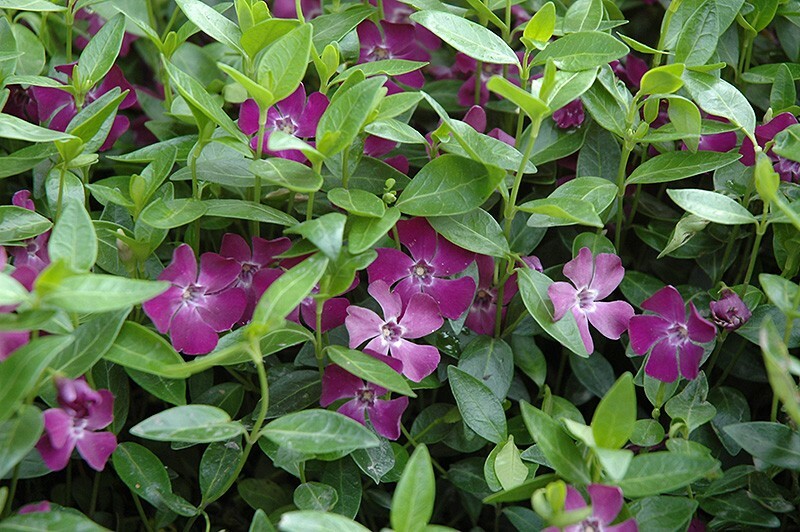 A mat-forming evergreen with dark-green, ovate leaves, Vinca is one of the best ground cover plants available. Looking good through all seasons and growing in any aspect, It is a vigorous grower, yet not overly invasive. It is tough, fully hardy and evergreen with pretty mauve-purple flowers produced from Spring through to Autumn, once established it will need next to no attention. 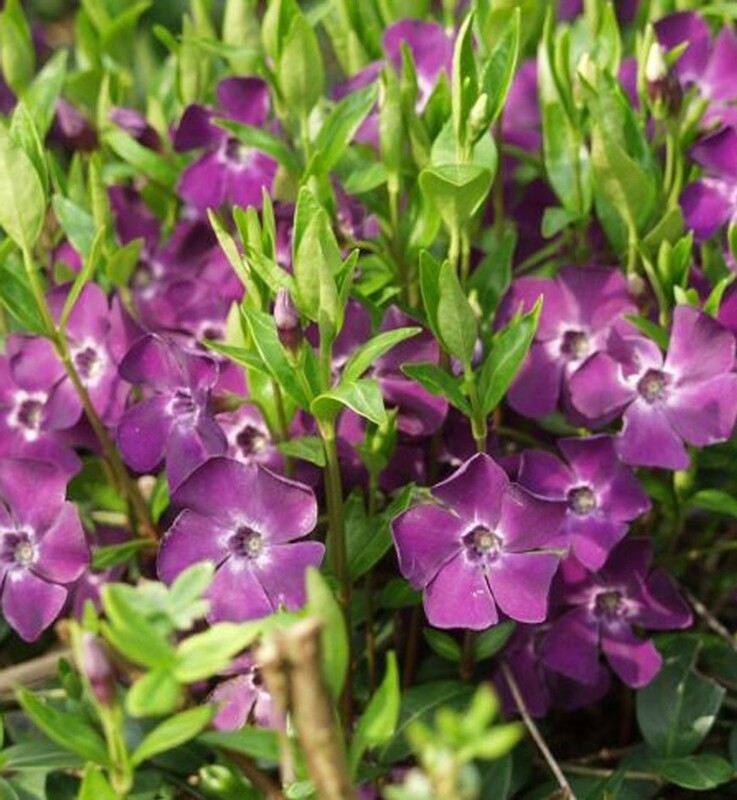 A particularly tolerant plant, it will be happy in shade or sun, with deep green foliage carpeting the ground. The new growth each spring is bright green and at this point the plants become covered in masses of very pretty star-like flowers, these continue to appear sporadically throughout spring and summer and in to autumn. A great long lasting plant. Supplied in approx. 2-3 litre containers covered with buds and flowers in season.